Harry Allen is famous for his real-looking designs. 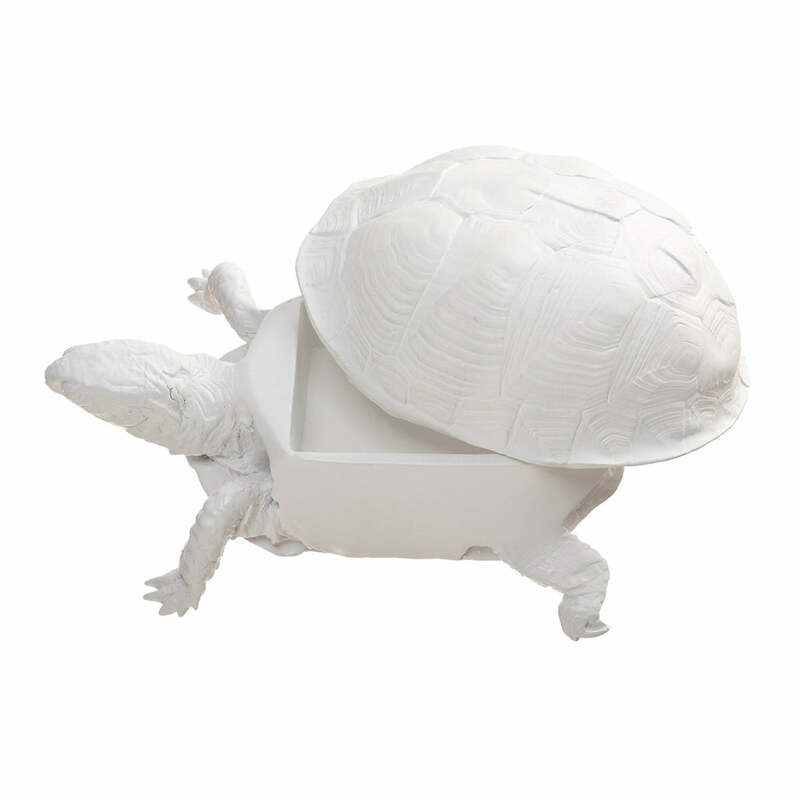 The designer has now made the Turtle Box for Areaware as part of his ‘Reality Series’. 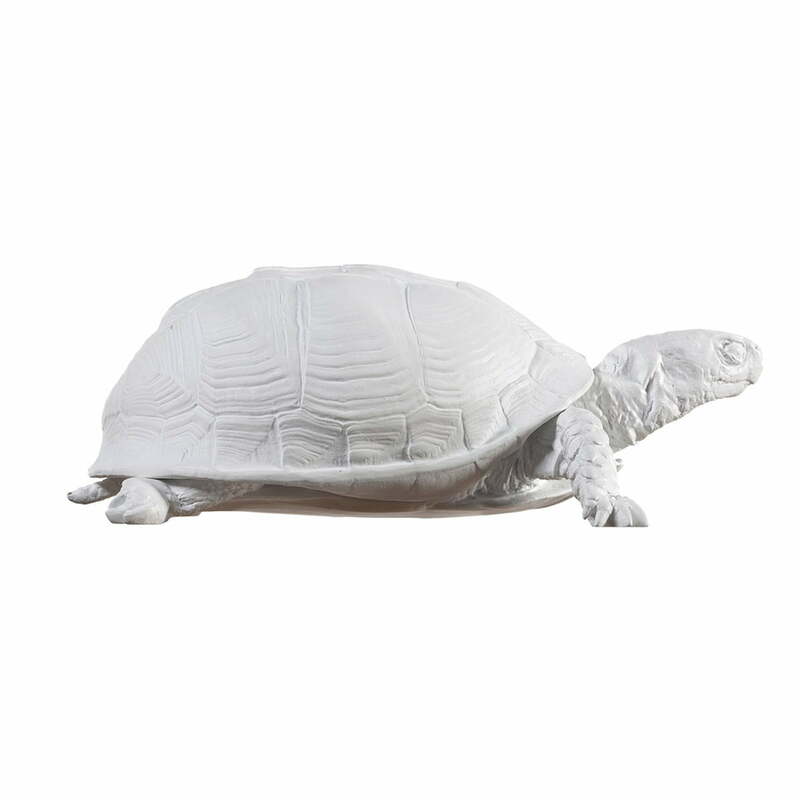 The Turtle Box looks astonishingly realistic – and for good reason. The box is a resin cast of a real turtle (that of course died of natural reasons). 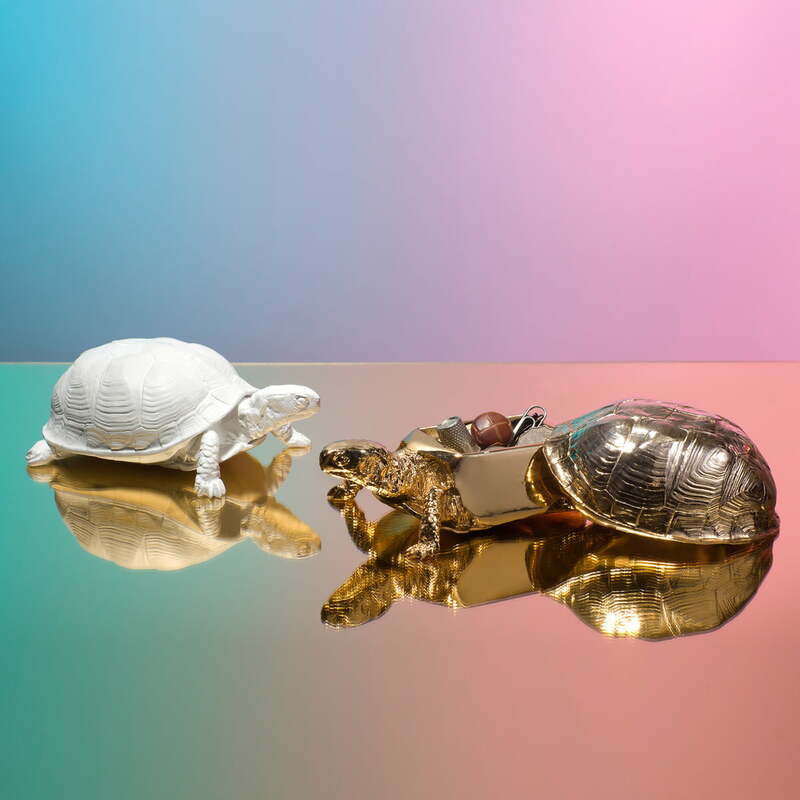 The shell of Areaware’s turtle can be removed to reveal a small box which you can store small objects in, such as jewellery or keys. And because nobody would expect to see these objects in this unusual decorative object, they are kept securely and discreetly. Areaware produces the Turtle Box from artificial resin and marble.